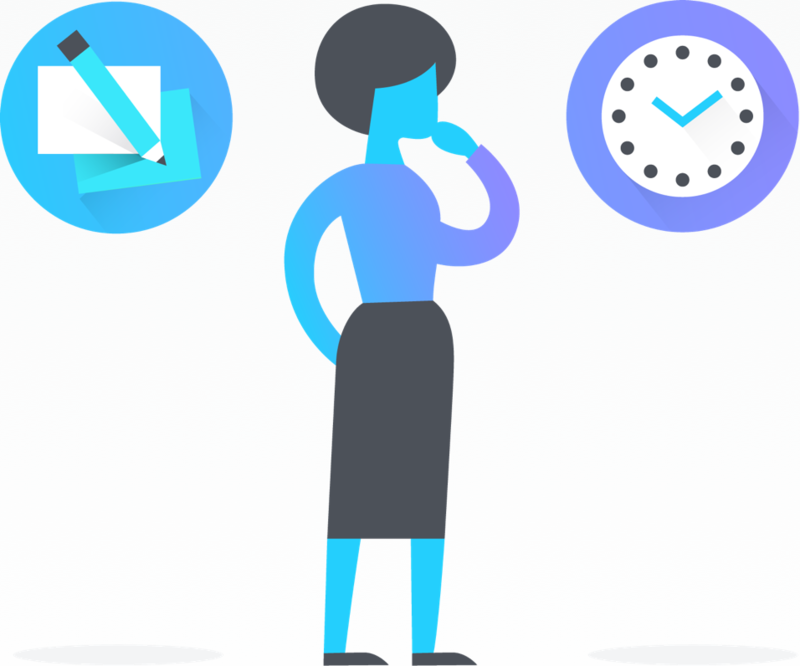 It’s time to stop digging around in your email inbox for to-dos and important details, and instead turn your emails into trackable work in Asana that you can manage from start to finish. 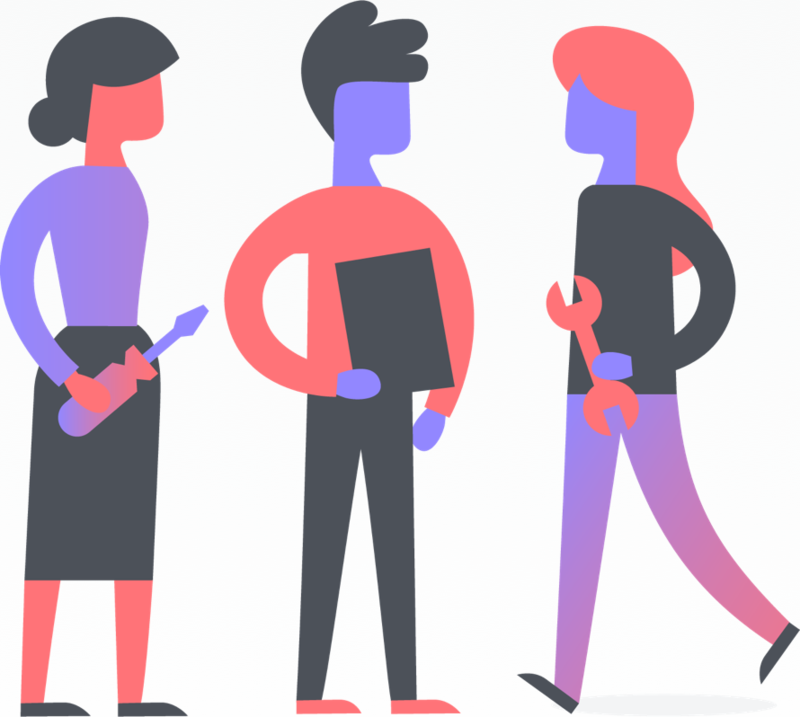 With Asana for Outlook, you can use each tool for what it was designed to do — communicate in Outlook and manage work in Asana so your team knows what they need to do and when they need to do it by so work gets done on time. 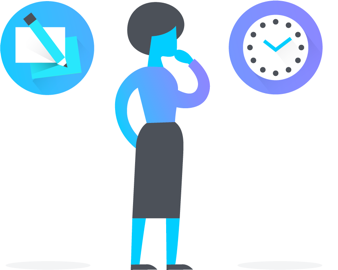 With this add-in, you can convert your emails into actionable work by turning your emails in Outlook into new tasks or comments under existing tasks in Asana without having to switch between tools. The Asana for Outlook add-in is not available for personal accounts. It can only be downloaded for your work email address. 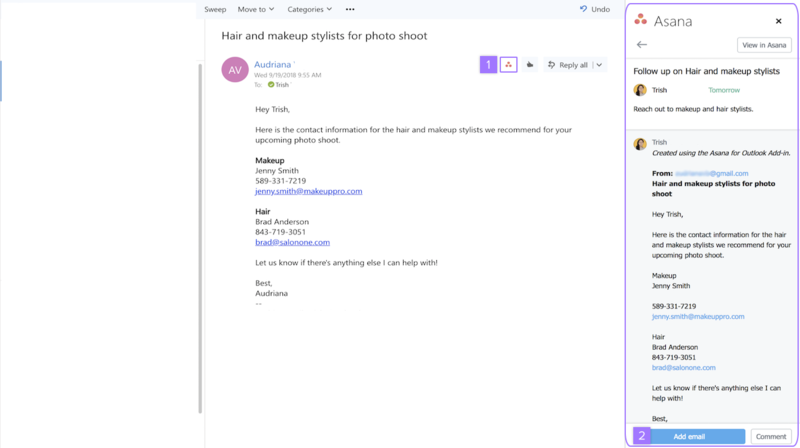 An Office 365 subscription is also required to use Asana for Outlook. In addition to the Outlook Web App, we support the Outlook 2016 desktop app. 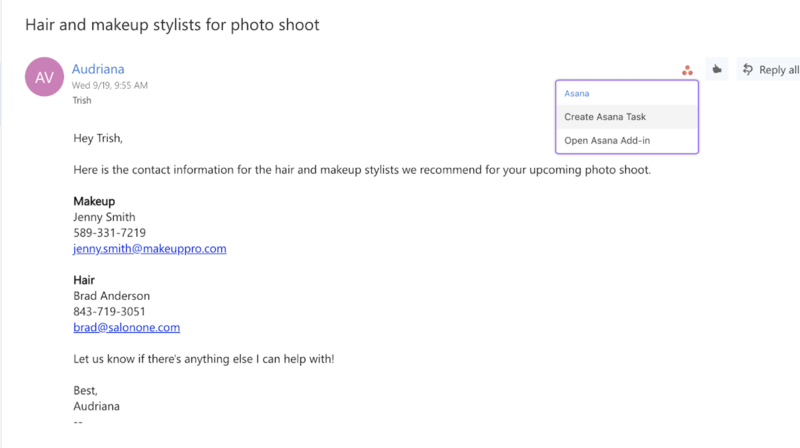 Follow the instructions to add the Asana add-in to your Outlook inbox. 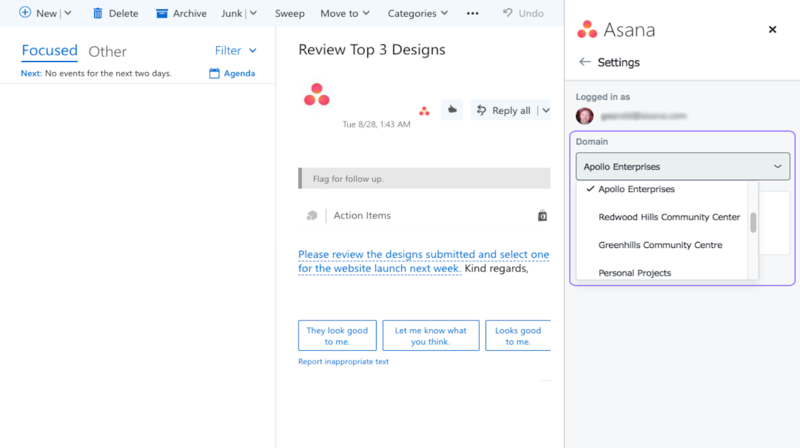 Once you’ve done that, you will see Create Task and Open Asana Add-in buttons with the Asana logo in the top bar of your Outlook inbox. 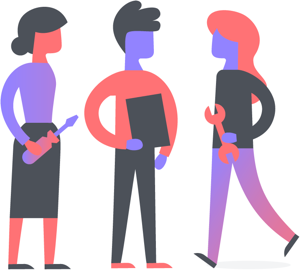 Admins will see the option to install this for everyone in their Organization. 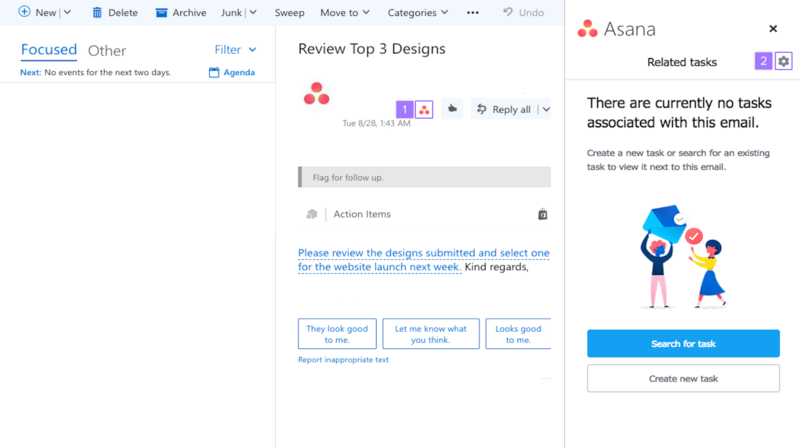 As action items come in via email, like reviewing work from your agency or a request for design assets from a partner, you can now create tasks for them in Asana right from Outlook. 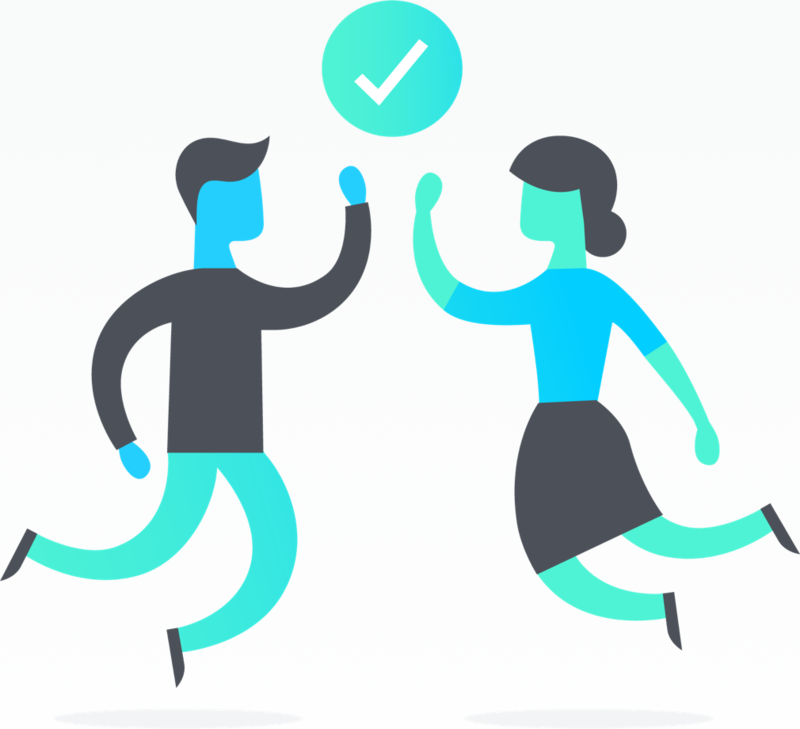 You can then assign the new task to yourself or a teammate, set a due date, and add it to a project so it’s connected to other relevant work. It’s currently only possible to set a due date for a task at creation time. It’s not possible to add/adjust a due date for existing tasks. Your entire team probably isn’t copied on every email chain that includes information they need to do their jobs. But without these details and context, they can’t effectively do their work. 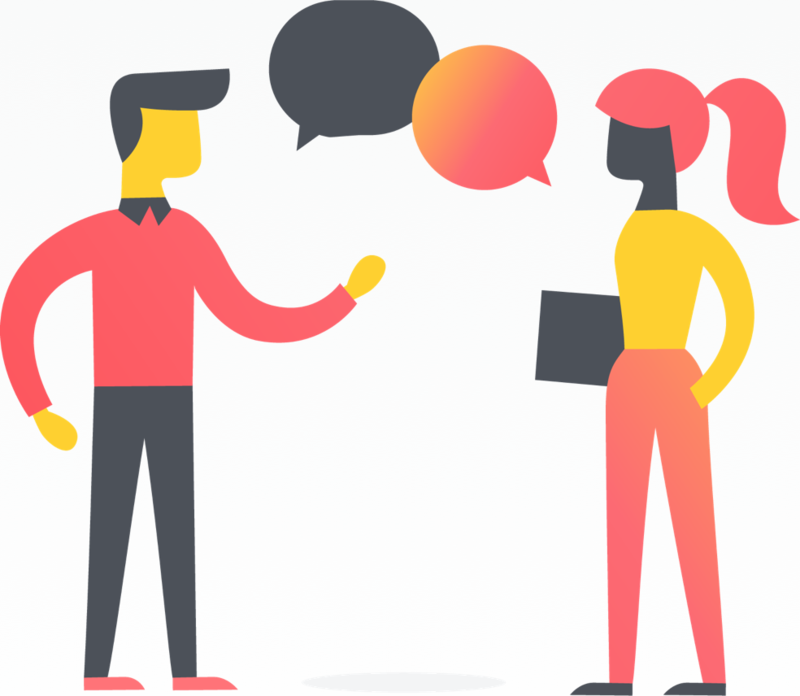 Whether it’s a proposal from an agency, an email from a candidate with their contact information, or another team at your company requesting design resources, you want your entire team to have the right information to do their job. 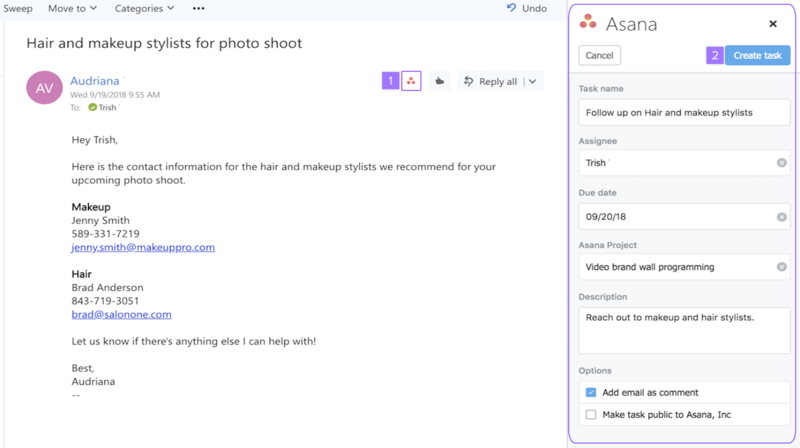 Instead of switching between tools to copy and paste this information, simply add the email to an existing Asana tasks as a comment right from Outlook. From the Asana for Outlook add-in settings, you can switch between Workspaces & Organizations or simply log out. From here, you can switch between your Asana domains or simply log out.